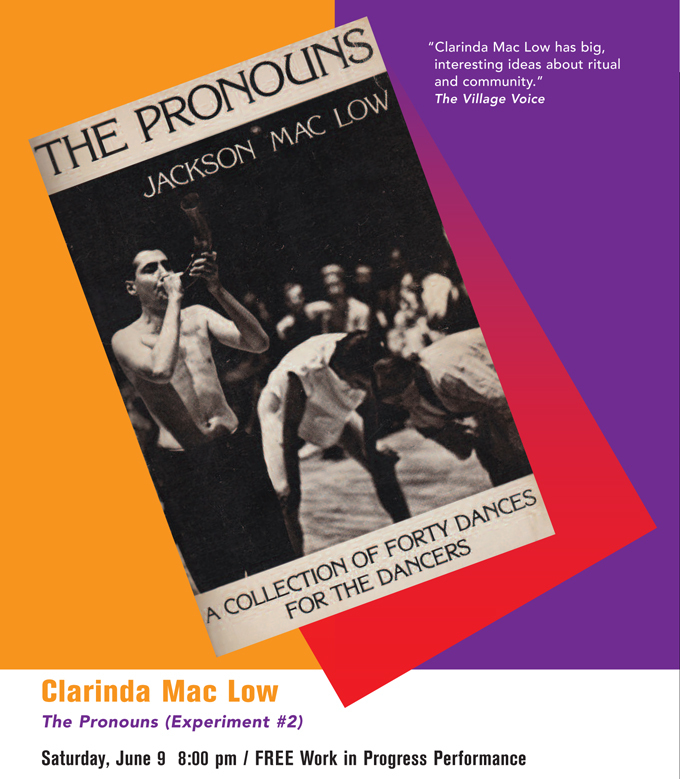 Clarinda Mac Low brings together friends and colleagues in a series of performances based on The Pronouns (1979), a book of performance instruction poems written by her late father, the poet, composer, and artist Jackson Mac Low, in celebration of what would have been his 90th birthday. Offering a child’s-eye view of New York’s 1970s avant-garde arts scene, this work in progress is both an homage to her father’s work and a love letter to her dance community. Clarinda Mac Low started out working in dance in the late 1980s, and now works in performance and installation and creates participatory events of all types. She co-directs the cross-disciplinary organization Culture Push with Aki Sasamoto and Arturo Vidich. This showing is the culmination of a two-week Creative Development Residency at Mount Tremper Arts in partnership with Danspace Project. The Pronouns will premier at Danspace Project on September 13–15, 2012. Clarinda Mac Low’s residency is made possible through a partnership between Mount Tremper Arts and Danspace Project’s Choreographic Center Without Walls (CW2) and is supported by the New York State DanceForce with funding from the New York State Council on the Arts Dance Program. The Pronouns is being commissioned by Danspace Project through its 2012-13 Commissioning Initiative, which receives support from the Jerome Foundation, The Andrew W. Mellon Foundation, and the New York State Council on the Arts.